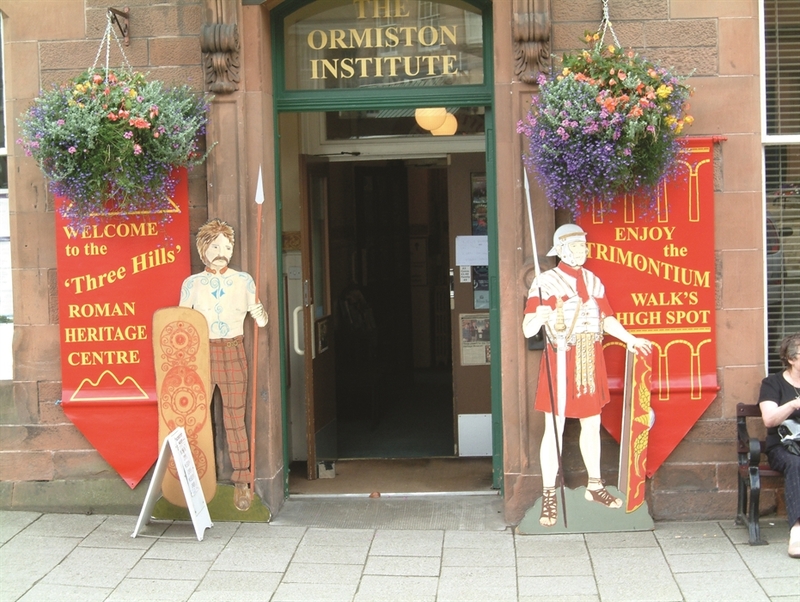 Located in the heart of Melrose and within three minutes walk of the abbey, this small visitor-friendly centre is an accredited museum full of surprises. Have you ever seen a Borders hoard of Roman silver denarii? There's one here! Also footwear - ladies and children's shoes from Trimontium and a larger than life size bronze leg from a Roman statue (found near Hawick!). ‘Trimontium’ – the place of the Three Hills (North, Mid and West Eildon, above the town – is the title of the huge Roman complex at the stonemasons’ village of Newstead, one mile East, with fort, annexes, and amphitheatre, guarding the crossing of the river Tweed, the Roman capital of S Scotland. How to explore it and its story? Visit the Centre and admire the artefacts (and the hoards). Join the guided Walk from the Centre through mediaeval Melrose to the site every Thursday afternoon from April to October, have your questions answered and your tea in the Village Hall before returning to Melrose to think again about the aerial photos, the designs on the soldiers’ ringstones, the restored face of the man found down the well and the many traces of the legionaries and auxiliaries in their centuries here. (There is even a chance to join the Legion, if you’d like to ask). Walk round site only on Sunday afternoons (no tea).